Utilizing the SATA III 6Gb/s interface and the latest 3D NAND technology, Transcend's single-sided MTS810 M.2 SSD is well-suited to address the high-performance needs and strict size limitations of small form factor devices. 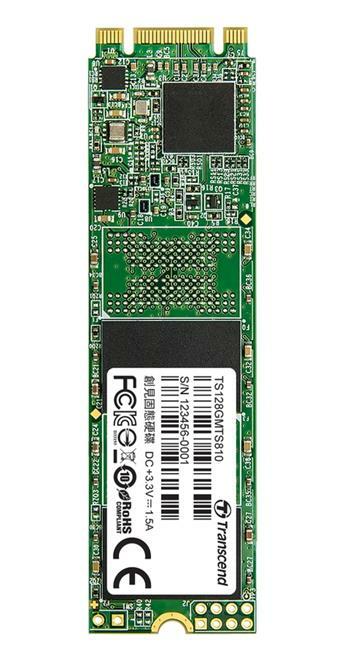 By using only high-quality flash chips and enhanced firmware algorithms, Transcend's MTS810 M.2 SSD delivers peerless reliability. Supports Device Sleep Mode (DevSleep) to prolong notebook battery life by intelligently shutting down SATA interface when not in use. LDPC is a powerful ECC algorithm, for better quality and reliability in order to keep your data secure. Single-sided is a popular design of Intel Kabylake generation to seek thinner laptops. More models could be expected to follow this design.